Looking for affordable Christmas gifts? Something that the receiver will be very pleased to receive while you keep your budget in check. You have come to the right place. 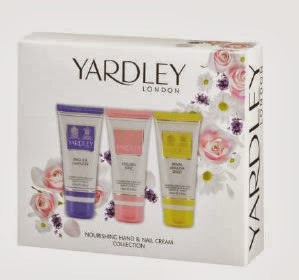 Today's post is about affordable luxury gift offerings from Yardley London. The British brand known for its quality floral fragrances and body products has come up with some limited edition gift sets under £20. Read on to see what these gift sets are. The Polaire fragrance opens with a fresh, fruity green top note of pear and freesia followed by a spicy floral heart of blooming rose, ginger and pink pepper, enhanced with a very sensual, powdery base note of patchouli and amber. 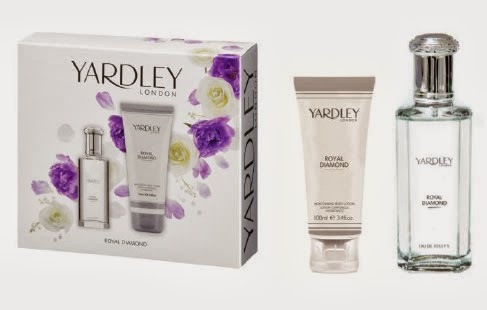 My experience: I have tried Yardley fragrances earlier and know that they are quality for an amazing price. Polaire is no exception. It opens with fresh and fruity notes of Pear and Freesia and is quite sharp when you spray it on. However it soon settles down into a mild floral base note which lasts long. The heart notes are spicy Ginger and Pepper with a touch of Rose. I could not detect much of a spice, but I love the way the fresh green and the floral scents blend together to give a sophisticated fragrance. The fragrance kind of transports me back 1920-1930s :-) I also love the simple yet 'vintagey' bottle with the faceted lid. The body lotion is best layered with the fragrance for longevity. The staying power on me was good when I used both together. Overall, another good fragrance from Yardley at an amazing price. *I was kindly sent the Polaire sample for consideration. Views expressed are my own.